The apartment is about 60 m2. 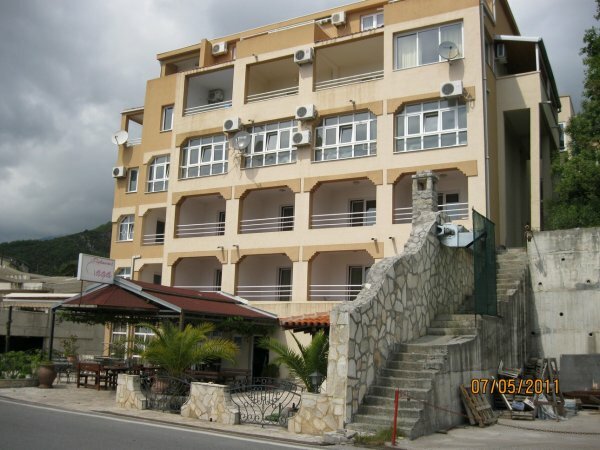 It is located in an apartment building without elevator on the 3-rd floor, 150 m from the municipal sandy beach in Rafailovići and has a panoramic sea view. 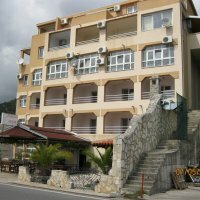 The apartment is provided with everything necessary for a comfortable stay for up to 7 people: all necessary furniture and utensils, washing machine, air conditioner, refrigerator, iron, hairdryer, ceramic hob, cooker hood, two TVs, satellite dish (about 10 channels in Russian), free internet Wi-Fi. In walking distance, there is a very well developed infrastructure: dozens of cafes and restaurants, grocery stores and fruit stalls, 100 m away to the bus stop and 10 m to a free seven-level parking. Departure time (check-out time) is 09:00-10:00 and check-in time is 11:00-19:00. Change of towels and bed linen in 5 days - free of charge. The transfer fee for the car (not per person) from Tivat is 25 euros, from Podgorica - 50 euros, from Bar - 40 euros. For all our guests we recommend a lovely and affordable family restaurant.